Since ancient times Mongolians have been engaged in pastoralism with herds of camels, sheep, cows, goats, and horses (Neupert, 1999). Today, two thirds of the inhabitants of the country still rely on pastoralism as both an economic activity, and a way of life around which culture in the country has been established (Neupert, 1999). 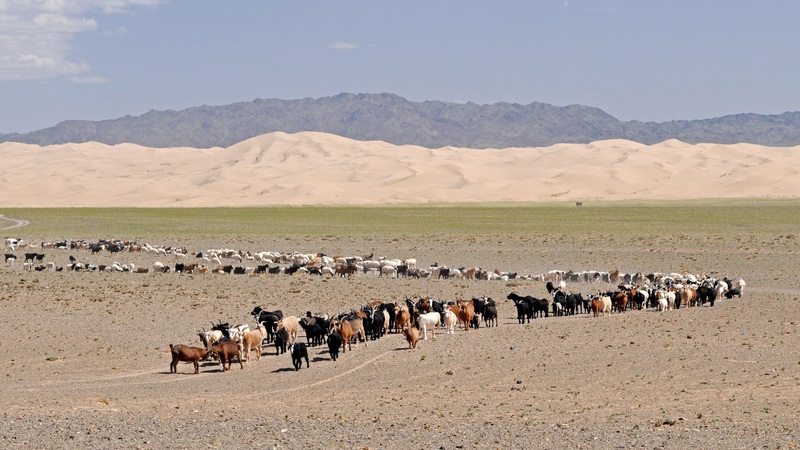 Approximately 74 percent of land in Mongolia is used for pastoralist purposes,with most of the excluded land being forest and desert (MEGDM, 2014). In Northern Asia, it is predicted that temperature has already risen by over 2℃ in the past 50 years which are expected to rise as high as 6℃ by the end of the 21st century (Hijioka et al., 2014). Landlocked countries like Mongolia are more likely to experience increases in temperature because they lack the temperature regulation that oceans provide to land masses (Hijioka et al., 2014) and because of polar amplification due to high elevation and latitude (Wang et al., 2014). Temperature rise can have a plethora of impacts on pastoralists. For instance, decreases to rangeland productivity in Mongolia, to the extent of 20-30% loss of productivity between 1968 and 2008 (Angerer et al., 2008). Increased temperatures have already caused the average weight of livestock to decrease from 1980 to 2000 which then causes the overall value of the animal to drop (Asian Development Bank, 2014). Higher temperatures in the winter also cause ice sheets to form over rangeland which prohibits animals from grazing (Batima et al., 2005). Mongolia is naturally susceptible to extreme winter weather events known as dzuds that include: heavy snow, frozen groundwater, severe drops in temperature, and high winds (Rao et al., 2015). While dzuds are natural, the increase in these events can be attributed to changes in precipitation caused by climate change. Years with particularly devastating dzuds are correlated with a drought the summer before (Rao et al., 2015). Droughts can cause lack of vegetation on which livestock graze on as well as a decrease in water availability (Marin, 2010). Even if livestock can survive the droughts in the summer, they are weakened by them which makes them more susceptible to death during a dzud (Marin, 2010). Dzuds are the most infamous climatic killer of livestock in the country because they prevent access to food and water (MEGDM, 2014). During two winters of dzud, 20 million livestock perished (Rao et al., 2015). Figure from the IPCC that depicts the past and predicted temperature increase in Asia dependent of two different emissions scenarios (RCP 2.6 and RCP 8.5). Mongolia can be seen in the "purple" zone by the late 21st century. Climate change impacts on precipitation vary throughout Mongolia, to the west and east precipitation is increasing while it decreases in the south and central areas (Batima et al., 2005). Additionally, the IPCC reports that aridity and droughts will also increase in the northern, higher elevation, region of Mongolia (Hijioka et al., 2014). Mongol pastoralists in the southern desert steppe reported “patchier rains” and an increase in droughts over their lifetimes (Marin, 2010). Precipitation patterns are a concern for pastoralists because they rely on them for migration. Rain that occurs in patches creates islands of good foraging land which can be difficult to access and create the risk for mortality (Marin, 2010). The timing of precipitation has also changed to be later in the summer which means that pasture plants that herders rely on are not present during the expected season (Marin, 2010). Overgrazing coupled with decreased precipitation and rising temperatures causes desertification of previously fertile lands (UNCCD, 1994). For example, in the southern part of the country, the Gobi desert expands 150 kilometers every 20 years which further decreases the amount of land accessible for ever growing herds (Vernooy, 2011). Economic pressure on pastoralists is a very modern concept. 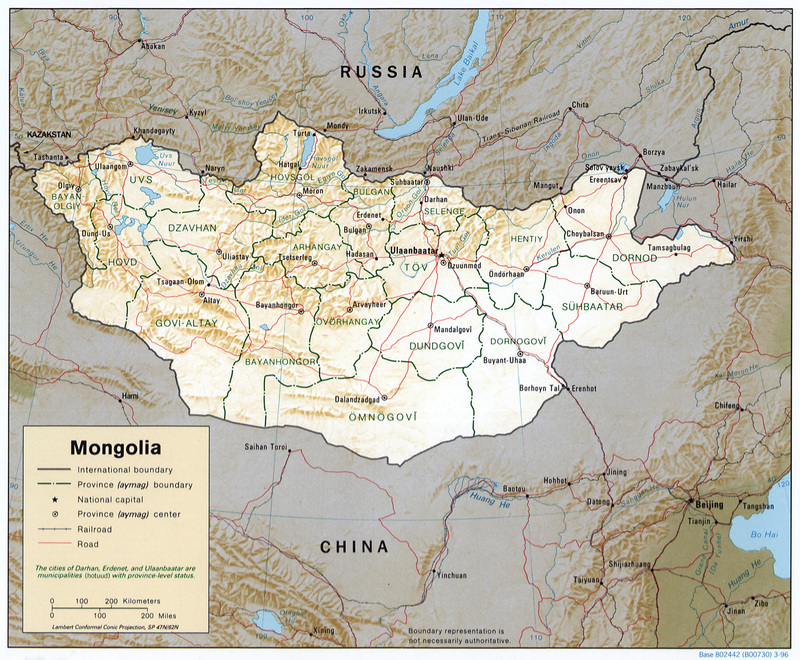 Prior to 1990, Mongolia was a communist country in which there was an abundance of state resource support for pastoralists. Additionally, under communism, animals were under collective ownership which kept the number in a herd at a sustainable amount. Three years after becoming a democratic nation, Mongolia started privatizing herds. Privatization resulted in the desire to obtain personal wealth which was signified by the number of livestock owned. The state supported this by tripling of the cap the communist government had put on livestock (Rao et al., 2015). Simultaneously the transition ended a significant amount of government support for pastoralists. Due to lack of support, inequality amongst pastoralists became more apparent as poorer pastoralists had a more difficult time obtaining necessary permits. The neglect came because the government shifted its focus on urbanization and industrial activities instead of pastoralism (Janes, 2010). Increased herd size has exacerbated desertification and increased water use, which further contributes to the hazards of climate change (Janes, 2010). Shifted risk management in the event of climate events from the government to individuals, who were not financially equipped (Janes, 2010). Pastoralists are heavily reliant on the climate sensitive resource of livestock as both a food and cash source. Livestock die off as a result of climate change hazards such as dzuds, shifting precipitation, water scarcity, and temperature rise not only means that there is less food, it also results in less income. This income is necessary to pay for education, health care, and other basic needs, and without it, public health is severely threatened. It has been found that, among the poor pastoralists, there has been a decrease in height in children and an increase in emotional and physical problems among adults (Janes, 2010). A woman milks goats. The milk from goats are one of the many basic necessities that come from livestock for pastoralists. 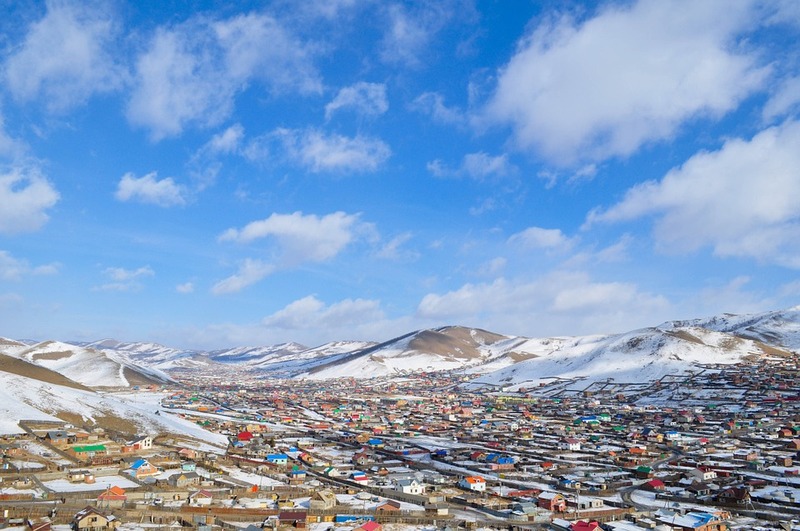 In March 2019, the country of Mongolia was awarded 3 million dollars through the United Nation Environment and the Green Climate Fund (GCF) to create a National Adaptation Plan (NAP). In this plan, rural communities and their increased vulnerability will be particularly addressed as well as pastoralists in general (United Nations Economic Development). As the plan is implemented, experts have different ideas of the best way for Mongol pastoralists to adapt to the climate change hazards. Because of their dependence on livestock economically and culturally, it is important to allow the practice to continue. The Asian Development Bank recommends improving the breeding practices of livestock to make them more adapted for the changing climate, as well as livelihood diversification, rotational pasture use, and water capture techniques (ADB, 2014). "Together, we collect hay and forage for the winter. We grow vegetables, comb goats, sheer sheep and ensure our river remains clean. These activities are quicker when carried out together." Eliza Gillilan graduated from St. Lawrence University in 2019 as an Environmental Studies and Sociology combined major and with minors in Biology and African Studies. Her interest in pastoralism in was first piqued in learning about the Maasai during a semester abroad in Kenya. Thanks to Dr. Jon Rosales' Adaptation to Climate Change course she was able to explore her interest in pastoralists people through this narrative. Knowledge in Rangeland Management. Ecological Applications, 10(5), 1318-1326. Retrieved from: https://www.jstor.org/stable/pdf/2641287.pdf. & Surjan, A. (2014). Asia. In: Climate Change 2014: Impacts, Adaptation, and Vulnerability. Part B: Regional Aspects. Contribution of Working Group II to the Fifth Assessment Report of the Intergovernmental Panel on Climate Change [Barros, V.R., C.B. Field, D.J. Dokken, M.D. Mastrandrea, K.J. Mach, T.E. Bilir, M. Chatterjee, K.L. Ebi, Y.O. Estrada, R.C. Genova, B. Girma, E.S. Kissel, A.N. Levy, S. MacCracken, P.R. Mastrandrea, and L.L.White (eds.)]. Cambridge University Press, Cambridge, United Kingdom and New York, NY, USA, pp. 1327-1370. Shih-Yu, & Byambasuren, O. (2015). Dzuds, droughts and livestock mortality in Mongolia Environmental Research Letters, 10. doi:10.1088/1748-9326/10/7/074012. Vernooy, R. (2011). 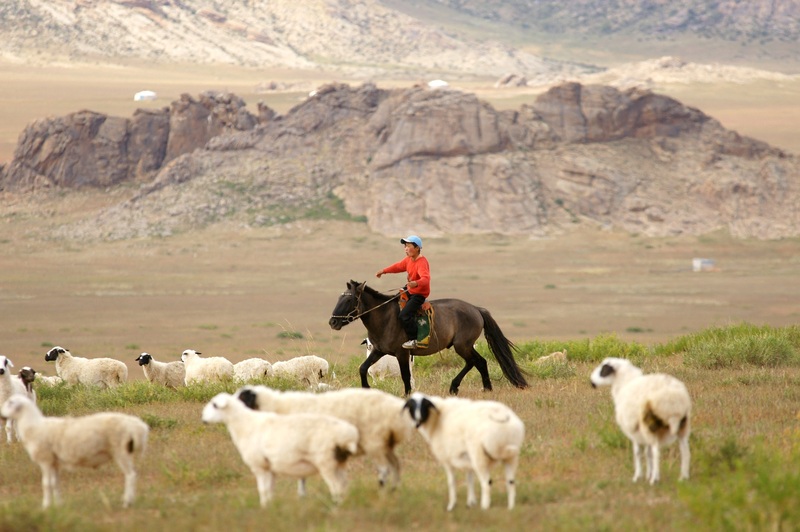 How Mongolian Pastoralists are Transforming Nomadic Pastoralism.